Roasting takes a while, but I can do other things while the food is in the oven. Roast chicken is simple and tasty. I put an onion in the chicken and shoved dill under the skin. 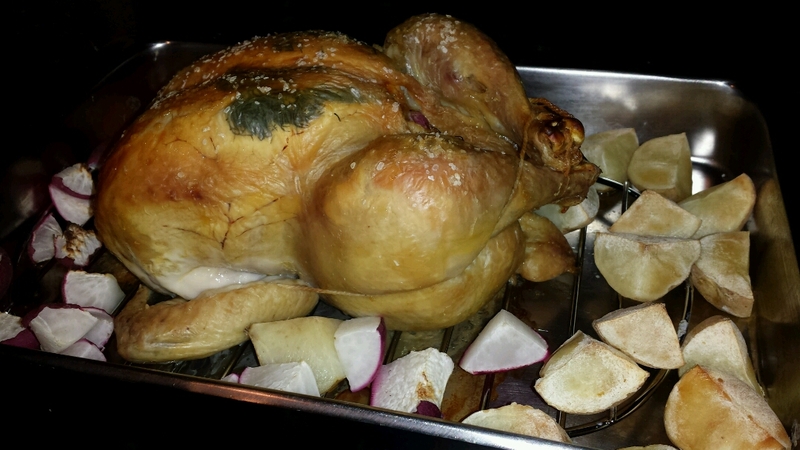 I roasted potatoes and radishes with the chicken. Radish gets sweeter when it's roasted. 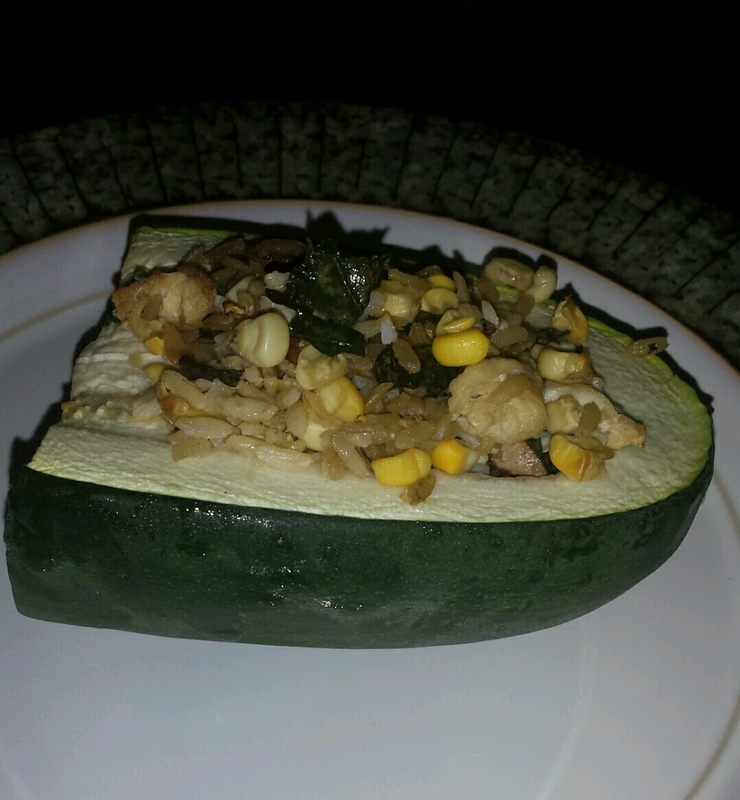 I tried stuffing a mongo zucchini and roasting it. It was OK, but not really worth the effort. When I get winter squash, I usually roast it. 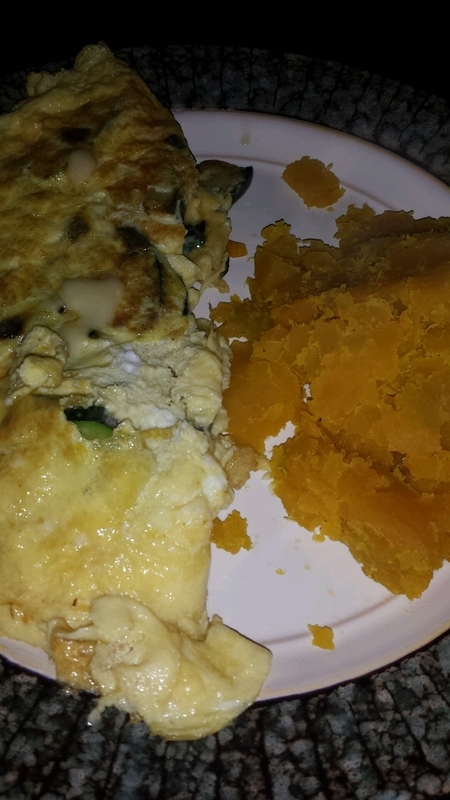 I paired squash with a zucchini and cheese omelet. Summer and winter squash in one meal. What are your favorite foods to roast? That stuffed zucchini? Have you tried putting cheese on top (because everything is better with cheese)? I like roasting most root vegetables, most recently, parsnip & potato, to go with dinner. Beetroot roasts really well too. Unfortunately, I can use cheese only when cooking for myself. I roast beets, but then slice them and use them in salad. Y'know, I've never tried zucchini in an omelette. I'm going to give it a try today since I have a lot of them on hand.